It's officially entertaining season - are you ready?! 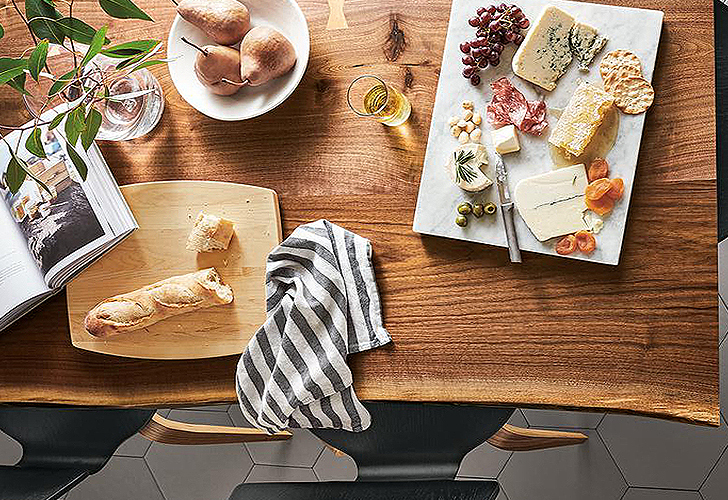 Get your home prepped for guests with artisan-crafted dining & kitchen decor, perfect for the holidays and beyond. 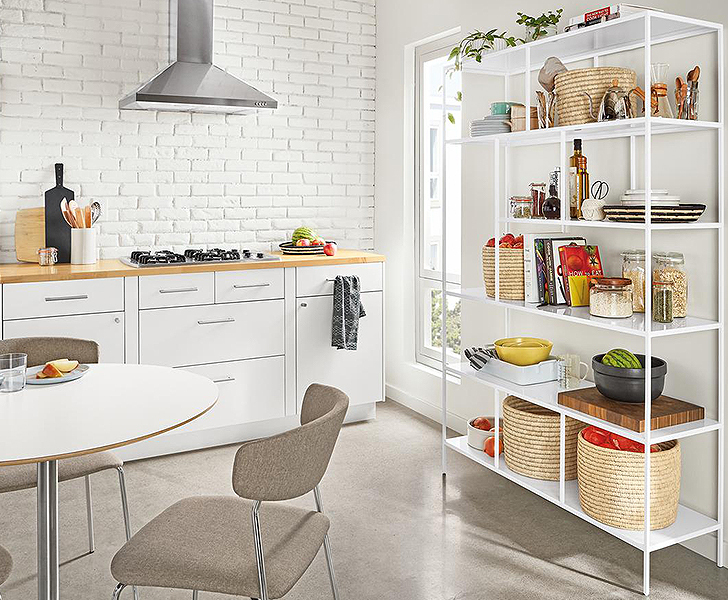 Here are a few of our tips for creating a space you'll be proud to share. This is step one. 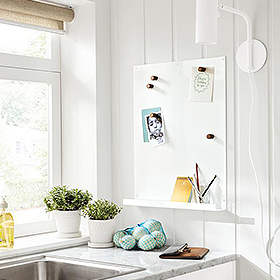 It will make your kitchen and dining space feel fresh and clean. Plus, you'll be eager to have the whole gang over! 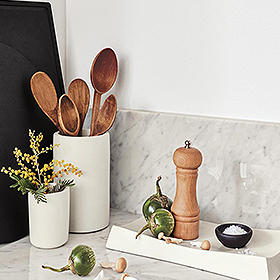 These modern trays and utensil holders are made from a special concrete formula that feels uniquely smooth. Each one is hand-burnished with a sealer to protect the finish and has a cork bottom. 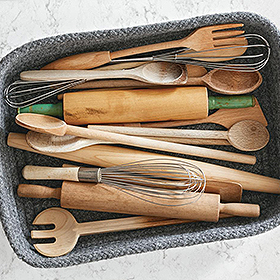 Crafted by artisans in Rhode Island, these braided trays provide soft storage. The wool-blend fabric adds texture and warmth and is durable enough for everyday use. Made by a family-owned steel shop in Minnesota, our exclusive Agenda board is substantial, durable and versatile. The magnetic board is made of steel and features a ledge along the bottom that serves as the perfect catch-all for small items. It's time to ditch those old serving bowls and platters. Food always looks more elegant when displayed on a beautiful tray! 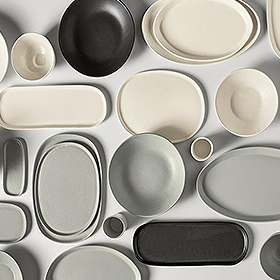 Artisan-crafted in North Carolina's HAAND ceramic studio, each platter and tray is slip cast from porcelain to create a beautifully designed accent piece. 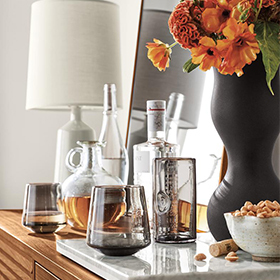 These pieces are perfect for serving food, organizing small items or displaying candles. These 12-ounce mugs are slip cast from porcelain. Featuring glazed interiors and rims and matte ivory exteriors, they offer dual texture and color. Dishwasher and microwave safe. The Opus hand-blown glass tumblers are created by the artisans at Hennepin Made. These one-of-a-kind vessels fit your hand perfectly and balance delicacy with heft. 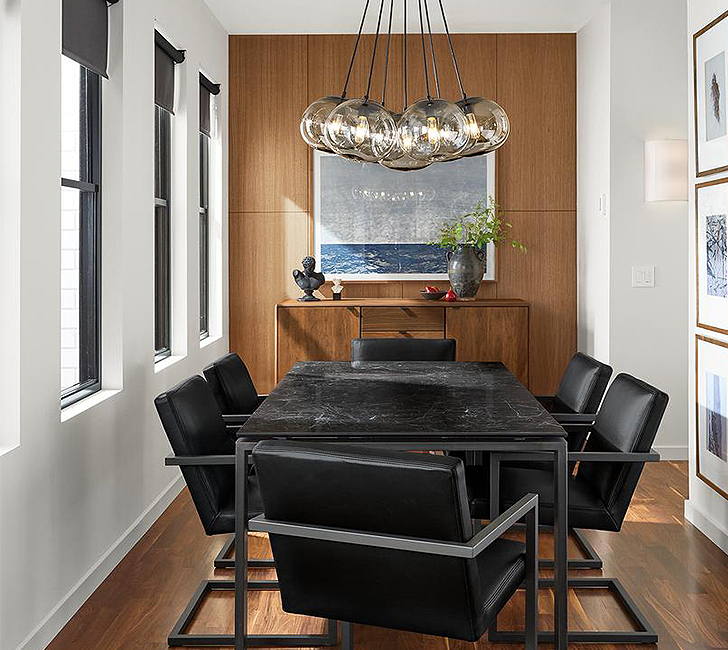 Never underestimate the power of good lighting, especially in the dining room. You're going to be spending some quality time around the table with family and friends - make sure the ambiance is right. 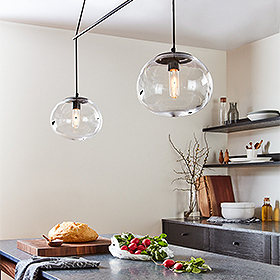 Our Howard globe pendants are hand-blown by the artists of Hennepin Made using age-old techniques. 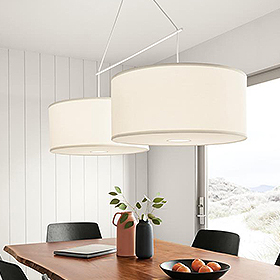 The spherical shape lends a warm, modern look to any room. This set includes a double ceiling canopy to install both pendants to one junction box. Last, but not least, take a look at your table. If it's in need of a quick update, we've got you covered! We love how a minimal table runner and cluster of vases can easily create a modern feel. KleinReid creates the Althea collection exclusively for Room & Board in their New York studio. 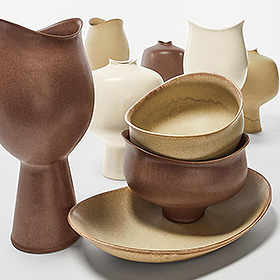 Each piece goes through a 28-step process, including mixing porcelain and glazes from proprietary recipes and hand finishing every vessel. 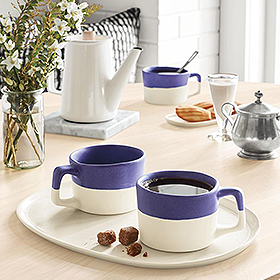 Mid-century Danish design inspired Althea’s soft silhouette, and custom glaze provides a warm, organic tone. The artisans at Galbraith & Paul took inspiration from traditional Japanese floral patterns to create the Kula table runner. 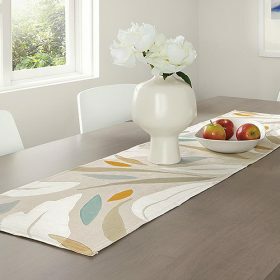 Kula’s expressive leaf pattern on 100% linen fabric adds color and texture to any room in need of an artistic statement. 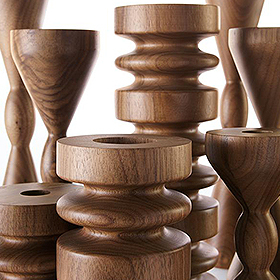 Elevate your candles with these classic turned wood candle holders made by a seventh-generation woodworking company in Massachusetts. The rich walnut comes from lengths of wood left after making dining tables, ensuring that we make the most of this natural material. 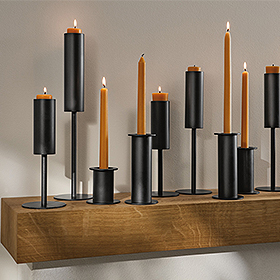 Thoughtfully designed, the candle holders feature one end sized for tapers, the other for tea lights. Find more dining inspiration here!